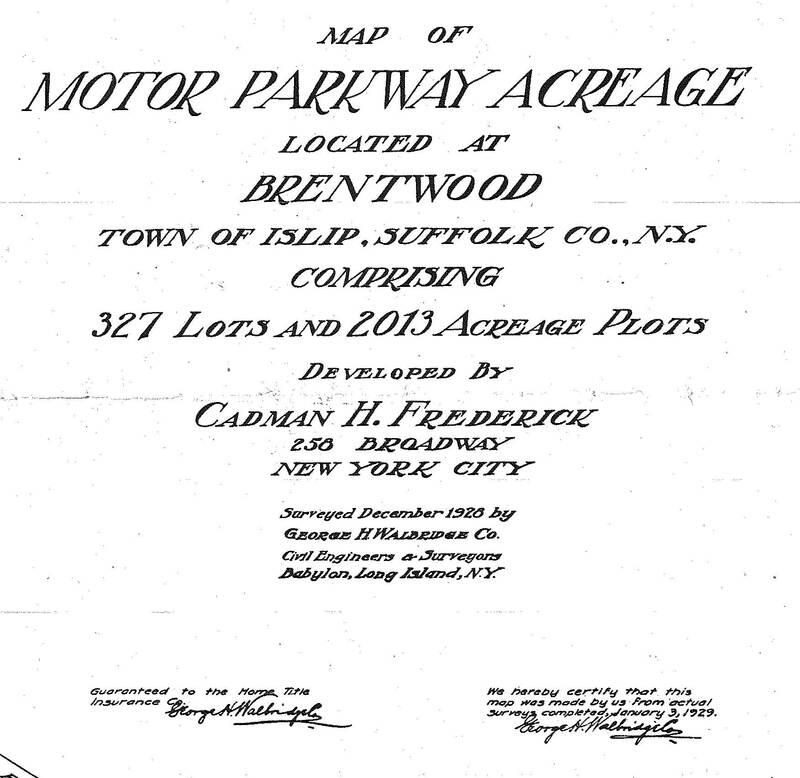 At my July 2015 "Treasures of the Vanderbilt Cup Races" presentation in Yaphank, I was handed this Motor Parkway treasure by an audience member- a 1926 "Map of Motor Parkway Acreage located at Brentwood." 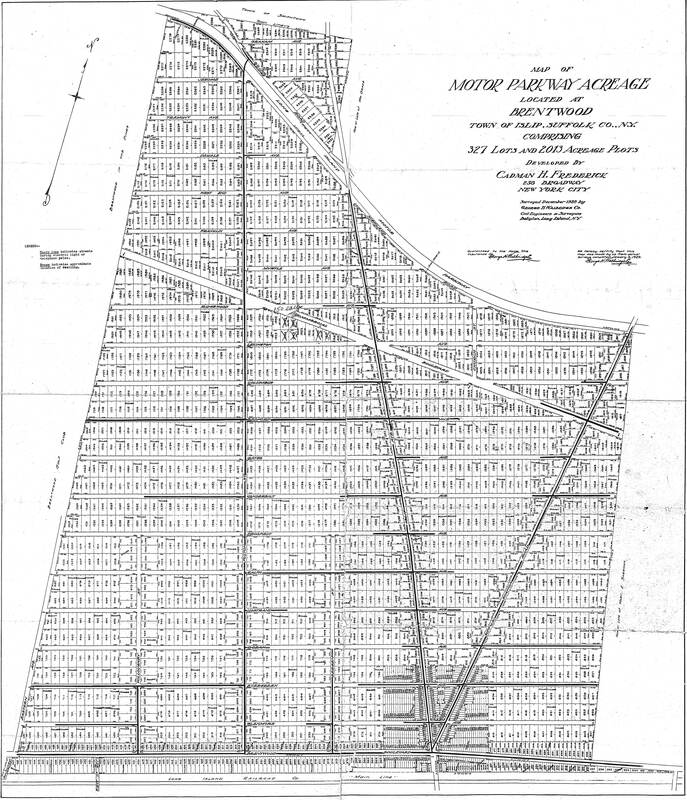 Below are details on the Motor Parkway Acreage. This 1926 map consisted of "327 lots and 2013 acreage plots" developed by Cadman H. Frederick in the area of East Brentwood. The survey was made by the George H. Waldridge Company, a civil engineering firm. 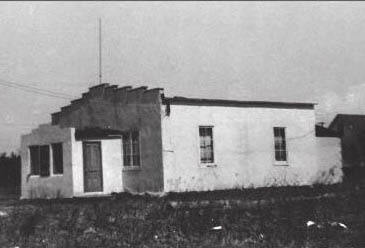 This was the typical all year "bungalow" built by Harris Brothers for Cadman Frederick. 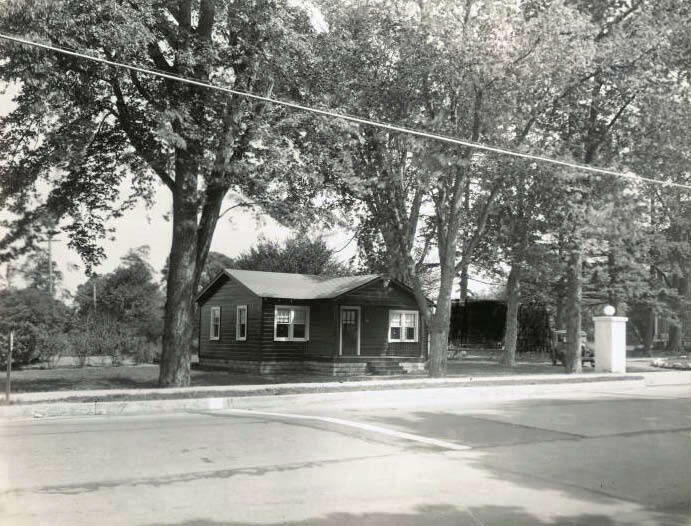 Although most of the "bungalows" have been expanded and modified, many of the original houses are still standing today. This was the hall of the Taxpayers Association of the Motor Parkway Acreage (TAMPA) on Caleb's Path and Gate Avenue in Brentwood. TAMPA was formed on May 28, 1934 for the protection, improvement, and benefit of the civic interests of the community. The hall was used for meetings, social events lectures and parties until the 1950s. 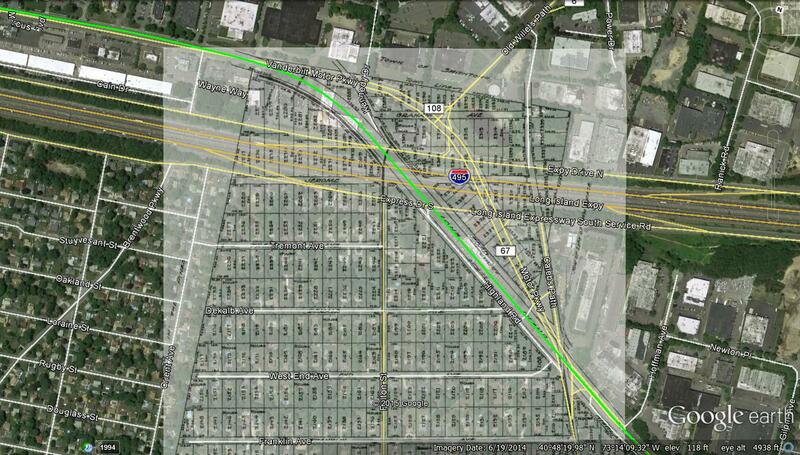 The outline of the Motor Parkway Acreage can be clearly seen in today's Google maps. 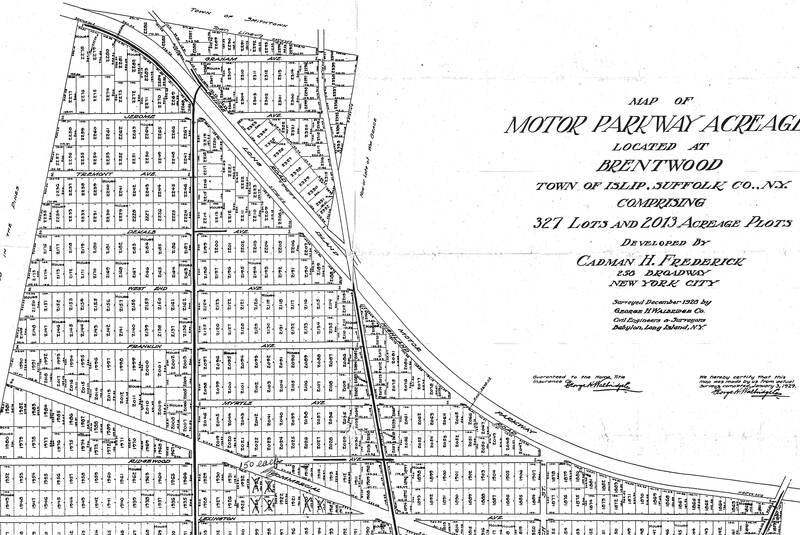 Check out Wayne Consolla's online Motor Parkway map to find the location of the Motor Parkway Acreage in Brentwood. Tricky part of the Motor Pkwy where the ROW doesn’t follow the present 67 roadway. Howard, sending a current overlay. Howard/LIMPer’s; Was continuing to scratch my head as to why divert the Motor Pkwy from its Right Of Way at this particular location. 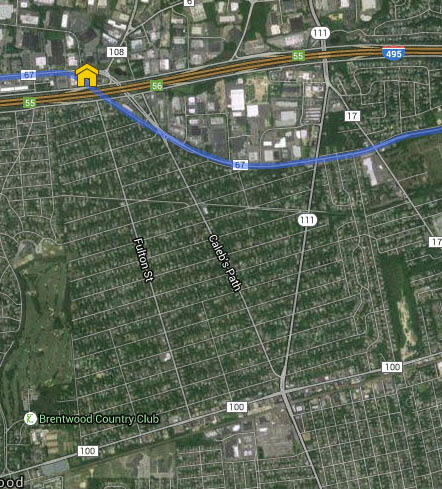 Not sure, but I believe the idea here (while building the LIE) was to connect Old Willets Path (a main road) to the busy Motor Pkwy, but to do it without building an extra bridge over the LIE. So they left Old Willets Path intact, and diverted the historic Motor Parkway to save expenses on building an extra bridge?. Sounds crazy but any thoughts can help clarify?